I love extracurricular activities. Maybe it’s a holdover from my days doing Speech and Debate, maybe is the fact that I don’t feel like I’m really doing my best unless I am overcommitted by at least 5 hours per week, or maybe I’m still overcompensating for being quite shy and think that these activities will force me to meet more new people. Either way, I love them. Most recently, I received an email on our grad group’s social listserve about a book club. Obviously, sign me up! Obviously, I didn’t finish the book in time. I still read it though. And I adored it. So, here is a virtual book club to start your summer reading. Ready, steady, go! What is Flight Behavior about? Set in the Appalachian region of Tennessee, this novel chronicles the fictional migration of a population of monarch butterflies to a fir forest just outside of a remote farming and manufacturing community. The question of what has brought the butterflies there and their ultimate fate brings together a cast of unlikely characters: the sheep farming family, who own the property the butterflies land upon; the family’s oddball daughter-in-law, who discovers the butterflies; the ecologist and his graduate students, who come to study the insects; the local preacher, who has an unlikely part to play; and the young boy, whose small-town world view is forever altered by the events of the novel. In the end, the fate of the butterflies becomes more than just a biological question. It is a question of culture, faith, and what the future holds for all of us. First, the main character, Dellarobia, is an extremely intelligent women living in rural, Appalachian Tennessee. Her character evolution in the novel, as well as the development of her relationships, serves as a wonderful vehicle to humanize a sector of society often completely discounted in scientific debates, those living in the rural south. 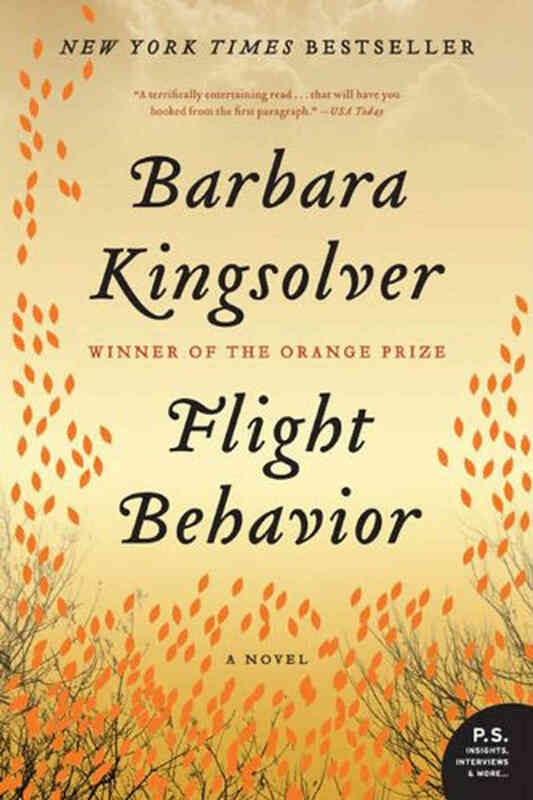 Being a person from rural Kentucky, I adore Kingsolver’s ability to portray characters I am very familiar with in a sensitive and genuine, not an offensive or archetypal, way. Dellarobia is now one of my favorite literary characters of all time. She is smart, funny, and, more than anything else, she is extremely brave. Nat Geo. It’s a bit dated (2009), but still, really cool! It’s a bit of a saddening note from the book, but I think it really shows one of the main themes the author is trying to get across, the urgency of climate change and how it is impacting real people’s lives. There are a plethora of other themes in the book: Personal discovery, fear of new beginnings, unexpected connections, and the importance of relationships (even if they might change). So, there really is something for everyone in this novel, but I cannot help but be in awe of Kingsolver’s ability to seamlessly, without judgement, and with such a strong voice tell the very human story of climate change. It’s something I struggle to do as a practicing scientist. She makes it seem easy. There are some adult themes, and while there is nothing graphic in this novel, there are numerous sexual references. I think all adults who like stories driven by strong, well-developed characters will like this book. I also think that any student of biology/environmental science (college or high school) would adore Kingsolver’s modern take on a story where science really is a main character! Honestly, I could have seen myself really loving this book in middle school. So, if you have a mature 12 or 13 year old who is passionate about nature, I’d say they could get something out of this text. Just make sure an adult is available if they have any scientific or life questions. Check out this interview with Kingsolver on Science Friday! This is where I first learned about the book. Not sure you want to commit to reading the novel? Maybe this rave review by the New York Times will change your mind. Interested in Monarch butterfly biology and ecology? Check out the website for Monarch Watch. There is plenty of biological information, as well as some information about how you can becoming involved in several citizen science projects! Happy reading Sweet Tea, Science book club. Until next time! Posted on July 1, 2014 December 18, 2018 by Sweet Tea, SciencePosted in book club, Popular Science, ReadingTagged Science Book Club.